The Beautiful Hotels in Odense, Fyn, Denmark are at the Centre of the City! Which of the Beautiful Hotels in Odense is Your Favorite? 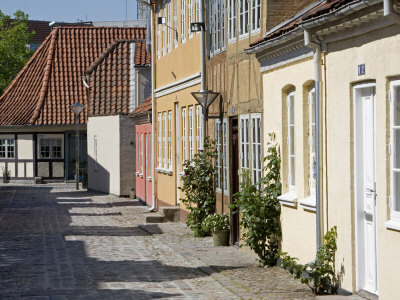 Most of the beautiful hotels in Odense scatter on the centre of the city. Some of those hotels are international hotels, Scandinavian standard hotels and some of them are Danish hotels. Most of the beautiful hotels are on a short walking distance from the train and the bus stations. Here is more information about the beautiful hotels in Odense. The nearest beautiful hotels from the train station and the bus terminal in Odense are Odense Danhostel, Cabinn Hotel, Plaza Hotel, Ansgar Hotel, Hotel Domir, Windsor Hotel and Grand Hotel. See more information and pictures below the following introductory paragraph. Odense is the capital of the southern central region of Fyn in Denmark. Keep the "D" letter silent when you pronounce the name of the city. There are three regions in Denmark and Fyn region is the smallest. Read about the beautiful Odense City here (coming soon) and read about other beautiful places in Denmark and some other topics at Aarhus, Copenhagen, the Wadden Sea, Ilulissat, Zackenberg, Copenhagen Climate Demonstration, Climate March and Climate Demonstration. Have you stayed in any beautiful hotel in Odense, Fyn, Denmark? If so, please share your experiences in those beautiful hotels in Odense through the form on this page. Many thanks. If not, then read about most of Odense beautiful hotels below. It is almost impossible to define the luxurious hotels, the mid-range hotels and the budget or cheap hotels in Odense, as there is no clear margin of different hotels prices, although some of the beautiful hotels in Odense are four-star hotels and three-star hotels. However, the touristy services these hotels offer, including the hotels personnel, the rooms, the restaurants and the bars, makes the difference between the beautiful hotels in Odense. The First Hotel Grand in Odense is one of other 57 hotels owned by a Norwegian hotels company. The company hotel chains scatter in beautiful cities in Denmark, Norway and Sweden. Those hotels include, but not limited to, the award winning First Hotel Skt. Petri in Copenhagen, the First Hotel Avalon in Gothenburg, the First Hotel Grims Grenka in Oslo and the First Hotel Reisen in Stockholm. Hotel Grand is one of the most beautiful hotels in Odense. It lies on the Jernbanegade 18, about 200 metres from the train station and Fyns bus terminal, in the centre of the city and very close to the Gråbrødre Plads, the Ove Sprogøes Plads, Odense Theatre and Odense Art Museums. There are 131 full-equipped double-bed rooms and 6 single-bed rooms in the First Hotel Grand. All rooms have full-equipped bathrooms, TVs, phones and internet. The hotel has also beautifully designed restaurant, bar, lounge, Spa, parking, free WIFI and 2 conference rooms that take up to 171 and 80 persons, respectively. It occupies a Danish classical building, but the rooms are renovated and equipped by the most beautiful modern furniture. The First Hotel Grand has been the Odense city's (bride of hotels) since 1897. It has a salon with a library that offers different prints about the hotel's classical heritage. The hotel accepts credit cards and it has phone and fax services. Hotel Cabinn is one of the beautiful hotels in Odense. The company that runs the hotel has a chain of four Cabinn hotels in Aalborg, Aarhus and Copenhagen. The Cabinn Hotel in Odense lies on Østre Stationsvej, just by the railway station and the bus station, on the corner of Odense Banegård Centre. It has 201 rooms that take from one person to 4four persons in a seven-floor building. All the rooms have full accommodations and equipments including bathrooms, TVs, phones and wireless internet. As the other hotels, it has a lift. The hotel offers a fast-café service on the top floor, from which visitors could have good views of towers of Odense. Milling Hotels include three beautiful hotels in Odense and two hotels in Middelfart and Kolding. The three Milling Hotels in Odense are Hotel Ansgar on Østre Station Street 32, Hotel Plaza on Østre Station Street 24 and Hotel Windsor on Vinde Road 45. The other two Milling Hotels are Hotel Park on Viadukt Street 28, 5500 Middelfart, and Hotel Saxildhus on Jernbanegade 39, 6000 Kolding. The Plaza Hotel is one of the beautiful hotels in Odense. It is a four-star hotel and is the nearest hotel in the centre of Odense City. The hotel is at about 2 minutes on foot from the train station and Fyns Bus Terminal, all of which are on the Banegårdplads. You can reach the hotel by either taking the downstairs or the electronic stairs up from the train station. If you decided to take the stairs down from the station, turn left up the stairs and walk some steps further and you will see the name of the hotel written on its gate across the station road and at the right corner of the King's Garden. The hotel lies in a very beautiful place in Odense. The restaurant and some of the windows overlook the beautiful Kongenshave, the train station and Odense Banegård Centre. At the head of the Jernbanegård, the hotel is close to Odense Theatre, Fyns Kunst Museer, Gråbrødre Plads and and Ove Sprogøes Plads. All the nearby alleys lead to the heart of the city running in beautiful coupled streets. There are 68 double-bed rooms including few single rooms on five floors in the hotel. All of the rooms have bathrooms showers, TVs and free internet connection. The hotel offers room services, coffee, morning buffet, phone and fax services and credit card processing and it has two parts restaurant, a bar and a small sitting saloon beside the reception and the bar. There is a small conference room in the Milling Hotel that takes up to 50 persons, a fitting centre equipped by some sport machinery and a car parking place. Ansgar Hotel is one of the beautiful hotels in Odense. It is a three-star. It occupies a classical Danish building overlooking the Østre Station Street. The hotel has 75 double bed and single-bed rooms, a restaurant and 2 conference rooms that take up to 50 persons. All the rooms have TVs, bathrooms and free internet access. The hotel offers morning and evening buffets included in the price with free coffee all the day, internet, phone and fax services. The Milling Hotels Administration is on the next block from Ansgar Hotel, at the corner on Hans Tansens Gade. This street runs down from the Østre Station Street. Hotel Domir lies on this street at the second block at the back of Ansgar Hotel. Read about it on links below the form. The street continues down and leads you to Windsor Hotel at the corner of the block. Windsor Hotel is one of the beautiful hotels in Odense. It is a three-star hotel on a four-floor classical Danish building. There are 63 rooms in the hotel, 36 are double-bed rooms and 27 are single-bed rooms. All of the rooms have bathrooms, TVs and internet. The hotel accepts all cards and it offers breakfasts included in the price. It has small bar and a restaurant. Read about other beautiful hotels in Odense either below the form or on some links on this page and read about other beautiful places in the Scandinavian region at Beautiful Orebro City, Beautiful Hotels in Orebro, Dalarna, and the Norwegian Tundra, Orebro Castle and Orebro Hotels. If you liked this page about Tonga beautiful sites, please use the small buttons on this page to share it with your social media and bookmarks. Thank you. Millionaire Match offers dating services for locals in Odense! Get married with Fynian marriage celebrations and do not forget to invite us to your marriage, or send us your marriage photos and videos, so we could take some Fynian cheers for your health and that of yours! If you liked this page about the beautiful hotels in Odense, Fyn, Denmark, please share it with your social media. If you had been once at one of these beautiful hotels in Odense, please share your experiences through the following form, so we could learn more. Thanks. Search for more beautiful hotels in Odense. All comments on beautiful hotels in Odense, or new information submitted by visitors appear at the second section of the page below the form. If you have not commented or written about the beautiful hotels in Odense, please do that now. Thanks. I use "Solo Build It" tools at the bar below to empower this page about the beautiful hotels in Odense and the entire 100 Beautiful Sites in the World.